If you are an inventor or budding inventor, you might be having lot of questions in your mind before marketing your invention, such as how to obtain patent for my invention ? Is my invention patentable? Can I file patent by myself? etc. There are certain basic guidelines are already known to the patent practitioners to help the inventors. This article will help the inventors and entrepreneurs. Intellectual Property Rights are statutory rights once granted allows the creator(s) or owner(s) of the intellectual property to exclude others from exploiting the same commercially for a given period of time. It allows the creator(s)/owner(s) to have the benefits from their work when these are exploited commercially. IPR are granted to an inventor or creator, designer in lieu of the discloser of his/her knowledge. An invention means: a new product or process involving an inventive step and capable of industrial application. An Innovation means: The successful exploitation of new ideas in the form of a useful machinery or process, by any person, using own intellect is called as innovation. Every innovation may not be patentable invention but every invention is an innovation. All the inventions are the innovations and are patentable, but all the innovations are not the patentable inventions. A patent is a contract between the inventor or applicant for the patent and the State, whereby the inventor or applicant gets a monopoly from the State for a certain period in return for disclosing full details of the invention. The patent system thus ensures that information on new inventions is made available for eventual public use so as to encourage technical and economic development and discourage secrecy. 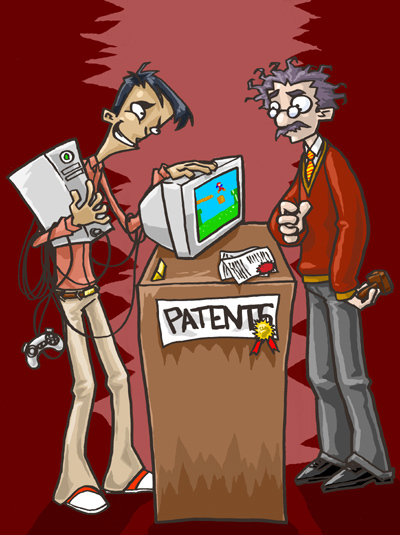 If an inventor or company has an invention, which they consider to be novel and inventive, they may apply for a patent. This may be granted only after a detailed examination by a patent office. Once the patent is granted the inventor or applicant has the sole right to make, use or sell the invention for a limited period. This period is usually twenty years. There can also be confusion about what exactly can be protected by the patent system. Patents can only be applied to inventions. These usually have an industrial dimension. An invention is normally a new product, which involves a new principle of operation or an improvement to an old principle. Alternatively it may refer to a new or improved industrial process. Things, which do not involve manufacture, are not usually considered to be inventions. For example, a new scientific theory or a new surgical procedure would not be considered to be patentable for this reason. considered to be novel in a patenting sense and it will not be possible to protect it validly through the patent system.It is important to be aware of the danger of premature disclosure of details of an invention. Even after a patent application has been filed, details of the invention should only be disclosed as part of a planned programme of commercial exploitation.Another requirement for a valid patent is inventiveness. This means that the invention must contain an inventive step. This can be the most difficult thing to show. A patent examiner may decide that the invention is obvious i.e. that somebody knowledgeable in the subject area, when familiarised with all earlier patents or other technology in the area, would have immediately been led to the same conclusion. return, and management and marketing skills are every bit as important as technical skills. If the inventor does not have all the skills required, it may be necessary to put together a team or partnership to exploit the project or to license the invention to an existing company who already has related products. If one does successfully commercialise an invention however the rewards can be substantial. A number of successful companies' world over own patents, which protect them against, copied products home or imported. This is an important factor in present day international trade. Most other traditionally used barriers to trade are being removed in the interests of fair competition. Patents are one of the few mechanisms that companies can legally use to protect their market share. Having foreign patents also allows Irish companies to protect their products in export markets. Where a product is unsuitable for export because of distance, cost or other factors, a licensing strategy can be used. The Indian company can use the patents to license the manufacturing/marketing rights for their invention to a foreign manufacturer. In return they receive a royalty, which increases their profits. Licensing for both the home and export markets to Indian and/or foreign companies is also the appropriate strategy for inventions made by non-manufacturing companies or by universities and colleges. To succeed, an inventor does not have to have a great deal of business or technical expertise. He/she must however adopt a businesslike approach to the project. The first thing is to realise that there are several stages in the inventive process. It is vital to realise what stage one is at and what one needs to do next. •Identification of a problem that needs to be solved. •Inventing a solution to the problem, which works. •Developing a prototype or being able to demonstrate the invention to prove how it works. •Filing a patent application to protect the invention so that it can be disclosed to other people. •Arranging the manufacturing and marketing of the invention either through one's own company or through licensing. overlap between the last two stages however. If it is possible to make some progress with manufacturing and marketing without compromising the patent position, then one should do this. As mentioned elsewhere, very often the later one files the patent application the better. confidential and asked to sign a simple document undertaking not to disclose the information until given permission to do so. Another reason why it can be a mistake to file too early is that development of the invention may not be completed. Designs may change during development or other inventive features may be introduced. If the patent specification has been drafted too early it may not be possible to amend it to reflect the changes made. One can end up with a patent, which does not really cover the final commercial product. People carrying out academic research are frequently under pressure to publish the results of their research for academic reasons. Researchers should, at all times, bear in mind the possibility of commercial results from their research. If a researcher sees a commercial application from his or her research, it would be wise to delay publication until a patent application has been filed. The first step that people usually take in applying for a patent is to file a preliminary application in one country. When the application is filed, the date of application is recorded and this is called the "priority date". The first application can be quite basic and does not have to include a set of claims (see below). It is still an important document and specialist advice from a patent agent should be obtained in preparing it. Most countries are signatories to an international convention, which guarantees that the priority date of an invention filed in one country will be respected in other countries, provided an application is filed in the other countries within twelve months of the date of filing the first application. This is why the first document filed can be very important later. A patent specification is written in a certain format, which may not be immediately obvious to the casual reader. The specification usually contains a preamble, which describes the background to the invention. Then comes a statement of invention, which is a legal statement of the scope of the onopoly sought. This is followed by a detailed description of the invention, usually drawings or examples of how the invention is carried out. The final part of the specification includes a set of claims.These are not normally required in the preliminary application but are a vital part of the final document. A claim in this sense has nothing to do with the conventional use of the word, and does not relate to the advantages or performance of the invention.A patent claim is where the patent agent sets out the scope or extent of the monopoly, which he claims on behalf of the inventor. In other words, one is claiming a territory of technology within which other people may not stray without infringing the patent. The scope of the patent is very important. One can imagine that a patent for a completely new type of engine would have a very broad scope whereas a patent for an improvement in one component of that engine might be quite limited in scope. relevance in the patent search. Thus, even if an inventor has not disclosed the invention in any way up to this point, the patent system itself will make a disclosure and destroy its novelty at this time. It is for this reason that inventions once disclosed cannot be the subject of subsequent patent applications either by the inventor or by anybody else. When the Patent Office has satisfied itself concerning the scope of the claims,which are to be granted, notice of allowance of the patent will be issued and the patent will be granted. In some countries (not in Ireland) there is a period however during which interested parties may oppose the granting of the patent by lodging their grounds for opposition with the Patent Office. If no one is successful in opposing the grant of the patent, the Letters Patent Document is issued and the patent comes into force.